There are going to be 18.9 million unemployed people in the country by 2019, parliament was informed. Union minister Santosh Kumar Gangwar said that the International Labour Organisation (ILO) has released a report “World Employment and Social Outlook Trends – 2018”. As per the report, it is projected that the number of unemployed persons in India is expected to rise from 18.3 million in 2017 to 18.6 million in 2018 and 18.9 million by 2019. At the same time, unemployment rate is expected to remain static at 3.5% during the same period. The minister said that employment generation and improving employability is the priority concern of the government. Further, the government has taken various steps for generating employment in the country including reserved category like encouraging private sector of economy, fast tracking various projects involving substantial investment and increasing public expenditure on schemes like Prime Minister’s Employment Generation Programme (PMEGP) run by Ministry of Micro, Small & Medium Enterprises, Mahatma Gandhi National Rural Employment Guarantee Scheme (MGNREGS) and Pt. Deen Dayal Upadhyaya Grameen Kaushalya Yojana (DDU-GKY) schemes run by ministry of rural development and Deendayal Antyodaya Yojana-National Urban Livelihoods Mission (DAY-NULM) run by ministry of housing & urban poverty alleviation. In addition, MUDRA and Start-Ups schemes are initiated by the government for facilitating self-employment. In order to improve the employability of youth, around 22 Ministries/Departments run skill development schemes across various sectors. The government has also implemented the National Career Service (NCS) Project which comprises a digital portal that provides a nation-wide online platform for jobseekers and employers for job matching in a dynamic, efficient and responsive manner and has a repository of career content. A scheme called Pradhan Mantri Rojgar Protsahan Yojana has been launched in the year 2016-17 for incentivising industry for promoting employment generation. Under this scheme employers would be provided an incentive to enhance employment where the government will pay the employer’s contribution of 8.33% EPS made for the new employees. 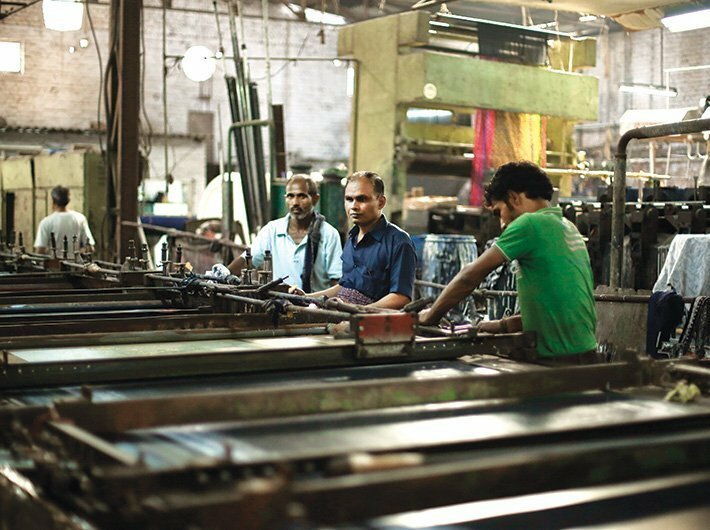 In textiles (apparel and made-up) sector, the government will also pay the 3.67% EPF contribution of employers in addition to paying the 8.33% EPS contribution.